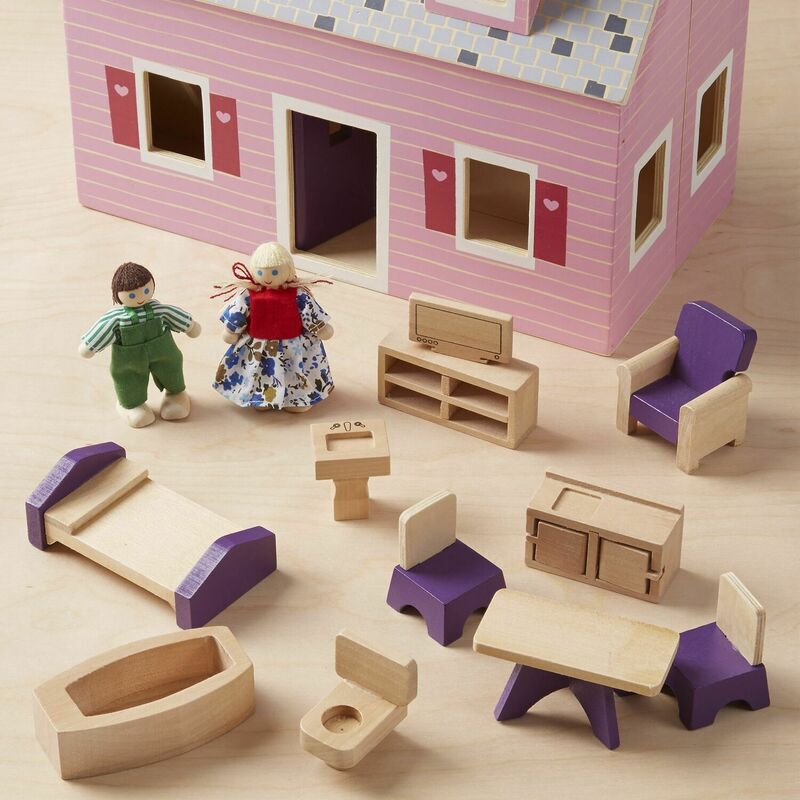 Enjoy a “home away from home” with this delightful wooden dollhouse. Two flexible wooden play figures live in this house, complete with eleven pieces of wooden furniture. The dollhouse opens for easy access and folds closed for convenient storage. Measures approximately: 13.50 x 10.20 x 7.60 inches..